Never deal with slipping dentures again. Toss out that denture adhesive for good! Dental implants offer a way to keep dentures in place without adhesives and allow you to go about your daily life with confidence. You can have a permanent solution to slipping dentures in just one day! In just a single, pain-free visit with your choice of a variety of sedation options, Dr. McMillan can strategically place implants, acting as a secure anchor for your dentures. Every patient deserves a doctor who is constantly trying to improve his or her skills. Because I want to offer only the highest quality dental care to my patients, I accrue an average of 100 additional hours of continuing education yearly, including the latest technology for implants and implant supported dentures. Implants offer unique benefits that dental prosthetics just can’t compete with. Unlike dentures, implants should never have to be replaced. Implants become part of you, so you’ll take care of them just like natural teeth. Like healthy teeth, implants give the greatest level of comfort. For your dental implant treatment, we make every appointment count. Dr. McMillan will perform a meticulous examination of your teeth, gums, and jawbone to create a treatment plan that fits your unique needs and goals. Your implant will be placed by Dr. McMillan, here in our office. During this procedure, you won’t feel any discomfort, thanks to the sedation options we offer. It’s vital we allow ample time for your implant to heal and fully fuse with your jaw. Depending on your implant, healing time can take up to a few months. We provide multiple restorative options while the implant heals. Once your implant heals, Dr. McMillan will place your custom-made dental restoration. 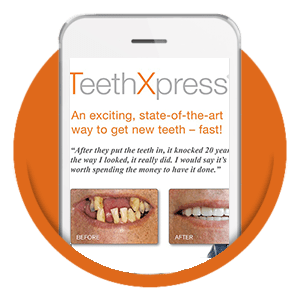 From implant-supported dentures to dental crowns, our expertise and training guarantee a beautiful restoration that seamlessly matches your smile. Implants are a worthwhile investment, but choosing the right dentist is crucial. You have to make sure the dentist you choose is experienced and received the right education. Let McMillan Sedation Dentistry help you make the right decision about dental implants in Burke with our interview guide. 12 questions you should ask your dentist during your implant consultation. How many people are experiencing the benefits of dental implants. Download our interview guide to ask your implant dentist.